From Holland hall parties to Hampton Harbors apartment “kickbacks” the lyrics of Future can be heard blasting with students rapping along. Trap music has taken the music industry by storm, but the lyrics have a deeper meaning to them that the youth should not be exposed to. Even though it is fun to listen to, people neglect to pay attention to what they are actually hearing and where it comes from. Due to the nature of the lyrics, many believe it to have a negative influence on younger generations, as these rappers and celebrities become their role models. Daisha Noland-Wheeler, a freshman psychology major from Baltimore, explains that she has seen first-hand the influence the music can have on the younger generation. “While many people say they just listen to it for the beat and that they are not really listening to the lyrics, little do they know that those words are secretly infiltrating their brains and then they want to start being like these artist,” said Noland- Wheeler. Originating in the early 1990’s, trap music is a genre spurring from the southern states. Coming from Atlanta, the term “trap” refers to the place where drug deals are made and the lifestyle it brings, which many rappers say they have experienced first hand. Typically accompanied by aggressive lyrical content, the music is filled with hard bass lines, up-tempo and catchy but minimal lyrics. Rappers like Young Jeezy, Gucci Mane and Rick Ross, have experienced success because they albums and mixtapes have constantly been about life in “the trap”, drug dealing and the struggle for wealth. Many of these trap artists rap about their “rags to riches” stories. Most of them became millionaires without a college degree, which causes millennials to think that college is a waste of time, money and effort. Trap music, or gangster rap is a genre of music that is heavily emerging and becoming more mainstream than before. In addition, with all the technology and resources readily available to access music it is hard to censor or regulate what the youth generation listens too. Today’s trap artist includes Young Thug, Chief Keef, Future, and Shy Glizzy. 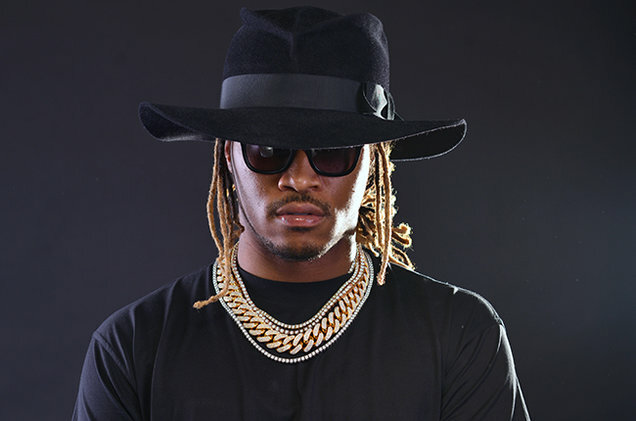 Future’s single, “Turn On The Lights”, was certified gold and entered at #50 on the “Billboard” Hot 100 while Chief Keef’s “I Don’t Like” and “Love Sosa” garnered over 30 million views on YouTube, also creating a new subgenre within trap called drill. Music critics called drill production style the “sonic cousin to skittish footwork, southern-fried hip-hop and the 808 trigger-finger of trap.” This genre has had an influence on not just the youth but also mainstream music such as Beyoncé’s songs “Drunk in Love”, “Flawless”, and “7/11” and Lady Gaga’s song “Jewels ‘n Drugs” which have trap influences. “It gets people hype,” says Noland-Wheeler. In 2014, Katy Perry’s “Dark Horse” featuring Juicy J, who is a trap rapper himself was another success of mixing pop and trap music reaching Number 1 on the Billboard Hot 100. The Hampton Script is an award winning HBCU newspaper that has been the weekly news source of Hampton University since 1928.